Lapstone (1833) and the 110 feet clear span bridge at Lansdowne over Prospect Creek (1834-1836). declaring that as he had done so, he did not intend to alter his design. completed in the following year at a final cost of £1,797. lapsed. Alderman Birmingham then proposed the name Lennox Bridge and the motion was passed. reported that there was a proposal to demolish the bridge. inside of the parapet wall on the downstream side of the bridge. H. Selkirk, 'David Lennox', JRAHS, p. 211. 3. 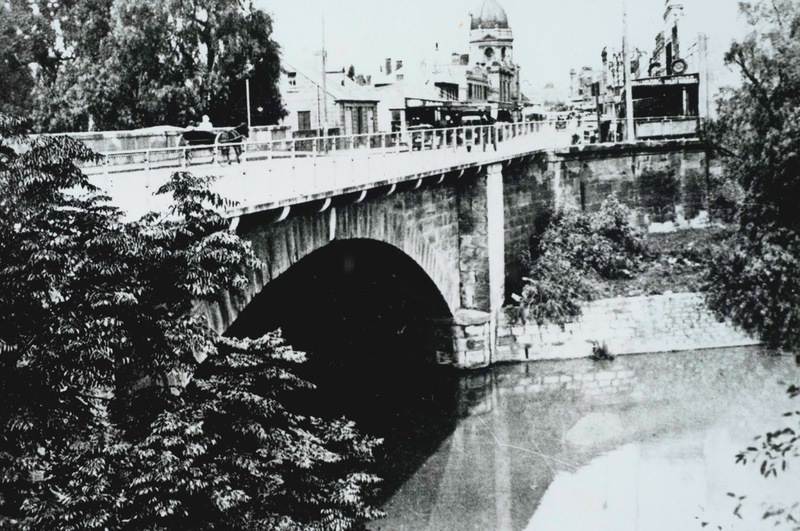 Photo from Local Studies and Family History Library, Parramatta Heritage and Visitor Information Centre. 4. 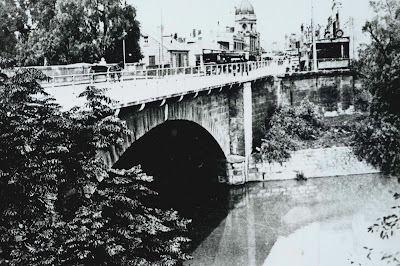 Lennox Bridge, Vertical File, Local Studies and Family History Library, Parramatta Heritage and Visitor Information Centre.